Jan Van Barriger, co-founder of The Outdoor Kind, LLC, has spent the bulk of her career as a project manager and analyst in the information technology field. Her ability to plan and execute projects is particularly helpful when starting a new company, and bodes well for our efforts to expand and do even more good in the coming years. A scoutmaster’s daughter, Jan spent her formative years hiking and camping throughout the upper Midwest. 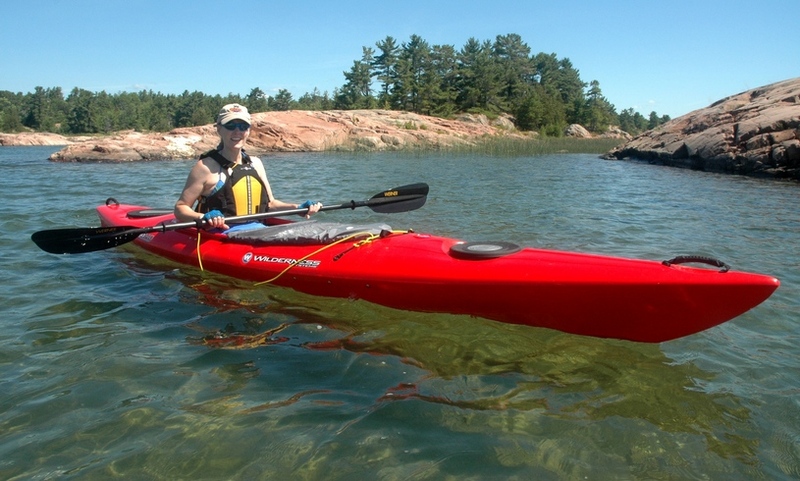 She added kayaking to her list of favorite activities over a dozen years ago, and backcountry paddling/camping was the logical next step. To date, her favorite trip was two weeks in the backcountry of Lake Superior Provincial Park, outside of Wawa, Ontario, in Canada. A lifelong animal lover, Jan has adopted numerous shelter dogs and volunteered on their behalf over the years. She also trained one of these adopted dogs as a certified pet therapy animal and the two spent years visiting patients at the local hospital. Jan earned a bachelor of arts degree in history from Carroll College in Waukesha, Wisconsin, and has furthered her education with project management training from the University of Wisconsin’s School of Business in Madison. Jan divides her spare time between outdoor activities and creating gorgeous wire-wrap jewelry and glass lampworking projects.